Are you struggling to provide your customers with personalized customer support and real-time convenience to them? Are you looking for ways to save marketing costs, increase sales and conversions, and build a long-term relationship with your customer? 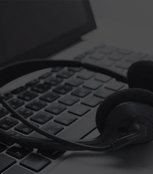 Then, it is the right time to employ live chat support for your business. Outsourcing chat support services can give you ample amount of time to concentrate on your core activities and help you save costs. Outsource2india, a leading outsourcing company in India, offers cost-effective online chat support services to customers around the globe. 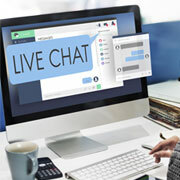 Our comprehensive live chat support provides personalized customer service for various technical as well as non-technical products and services. Online chat support is pre-configured, easy to install and does not require additional modules or add-ons to be installed by the visitor. It uses functionalities available in any modern browser by default. When a visitor to your website requires the assistance of any kind, all they have to do is click on the "click-to-chat" button prominently placed on your website. This will initiate a live chat session with a customer care executive, who will provide real-time answers to the customer's queries, and also cross-sell and up-sell your products and services in the process. What Makes O2I's Live Chat Support Services Different? Outsource2india has over a decade of experience in providing various outsourcing solutions to clients from around the world. Our efficient online chat support services will ensure greater customer care and increased profits for your business. Provision of cost-effective pricing - You can save up to 45% with our reasonable price structures tailor-made for single-operator and multi-operator accounts. We also provide discounts for small and medium-sized online businesses with chat support requirements. Information Security - We are an ISO 27001:2013 ISMS certified organization which ensures that all your confidential data such as legal, customer, financial, project data, etc. are completely safe with us. Easy to customize chat support - Our free-to-use chat icons, chat invitation skins, operator pictures, and header background images allow you to customize the visual aspects of the chat window on the visitor's side and give your website a unique edge. Secure and reliable services - O2I provides secure 256-bit SSL encrypted connections for all online chat support services. This ensures data security and prevents unauthorized parties from reading your live chat conversations. Multilingual Chat Support - Our team has the required skills and expertise to provide clients with offshore chat support services in multiple languages as this will help in making the client comfortable while conversing. Experienced chat support executives - Our well-trained chat support executives are hired according to your specifications. Our experienced executives are prompt in answering live chat requests and are capable of handling multiple chat requests simultaneously. 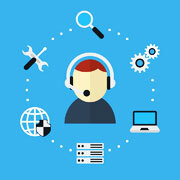 We also provide Microsoft Certified Engineers for technical chat support. Single Point of Contact - We will assign a dedicated project manager when you outsource to us who will be a single point of contact for all your queries and keep you updated about the project status. Real-time website monitoring and traffic analysis - Subscribing to O2I's online chat support solutions enable you to get access to details about your website visitors by viewing real-time monitoring results in the Live Chat Operator Console (location, referrer, visited pages, keywords, etc.). O2I also provides detailed traffic analysis that helps you plan effective marketing and sales strategies. We set up support operations such as voice support, chat support, and e-mail support for the client. Our services resulted in improved customer satisfaction and a reduction in operating costs. 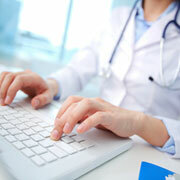 A leading online medication retailer was looking for a reliable customer support service provider. Our team provided the services within a quick time and helped the client save costs by almost 40%. We have no doubt that Outsource2india will be an asset and a trusted partner to any business that is looking for help with customer support. 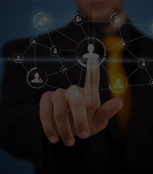 Outsource2india has been a leading provider of live chat support services in India and a host of other customer support services to clients around the globe. We believe in total transparency and allow our customers to make informed business decisions. Calculate your call center staffing and budget before taking the plunge! Gain higher conversion rates and increase your online sales with our customized chat support services. 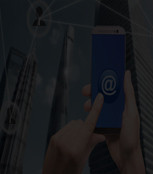 Our team comprises highly experienced and skilled chat agents who are trained to handle customers from different industries and parts of the world. If you are looking for a reliable, cost-effective, and efficient chat support service provider, then you have come to the right place. Get in touch with us today!